Written by Hugh Whitemore and performed by Rohan McCullough, this play celebrates one of the most successful partnerships in history: the long and remarkable marriage of Winston and Clementine Churchill. From their unconventional courtship, through the testing and tumultuous years of the First World War and Churchill's erratic political progress, Clemmie was his unwavering ally. 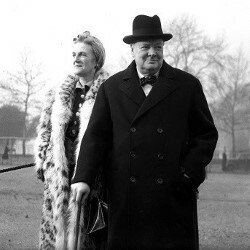 As a mother, fierce protector of his reputation and devoted wife, she could also courageously confront Britain's wartime leader if she thought him misguided. This moving, amusing and frank portrait celebrates this couple and the power of their love.